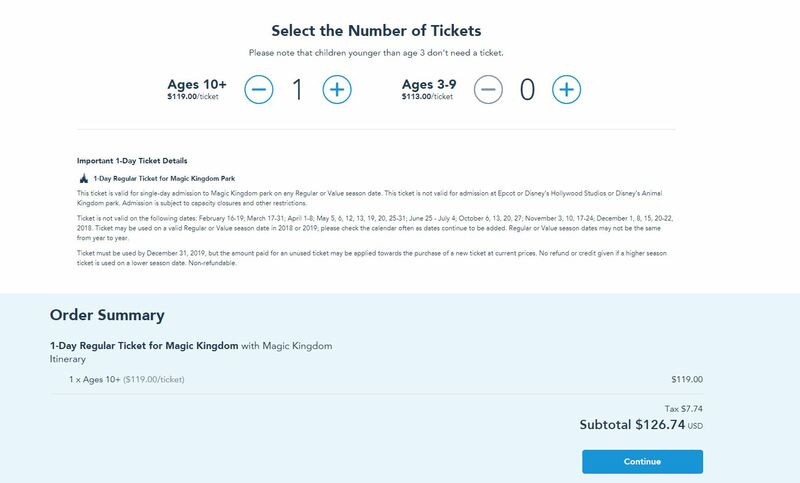 Disney is now selling tickets with pre-selected FastPass+ options already attached to the park admission. The 1-day, 1-park ticket is offered with a variety of attraction bundles. The FastPass+ attractions in the bundles are linked to the purchased ticket by Disney, ensuring that you don’t have to worry about securing them yourself. The catch is that this ticket needs to be used “tomorrow”, meaning that the FastPass+ selections that are premade are only valid for the next day. 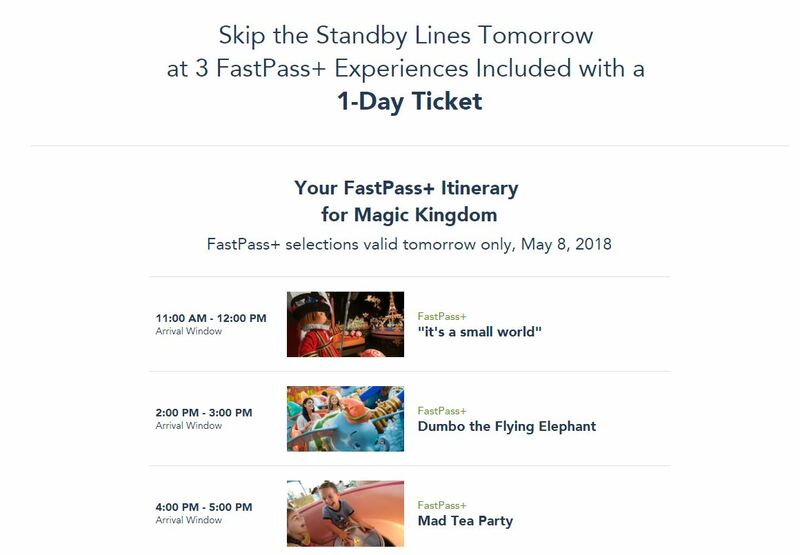 Please note that regular FastPass+ selection limitations are in place for these tickets, requiring you to use the three selections before more can be made. As of story publish time, there was no additional cost to book this ticket over a standard 1-day, 1-park ticket. Please note that seasonal pricing applies in the “value, standard, and peak” pricing structure. Here’s a look at the park-by-park FastPass+ bundles offered.